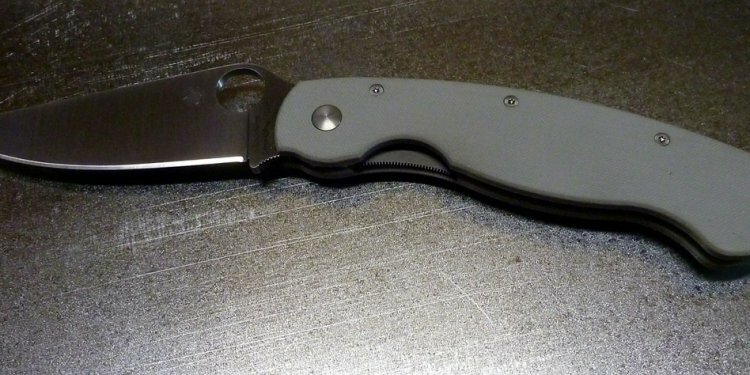 A leader in the field of folders and tactical knives over the past couple of decades, Spyderco certainly hasn’t rested on its laurels after their many successes. Over the years, they’ve continued to expand and develop their line of knives to address all fields of interest for knife enthusiasts. That dedication to variety is demonstrated with the introduction of their new Bushcrafter. What was it that caused me to issue that excited utterance? I haven’t a clue, and it may sound a bit hokey to some folks reading this article. But, that’s exactly what happened. I was so surprised by it, that’s I mentioned it to Tim when we were talking one evening. Of course my response is completely subjective and a direct result of my own tastes and preferences, so I won’t begin to promise that you’ll have the same experience. The handle is carved and contoured out of black G-10 perfectly for my grip. It felt like someone took a mold of my hand and made the handle just for me. But, I think part of what really grabbed me was the heft of the knife. Between the thick handle slabs and the handle steel itself, there is some real weight to the knife. It exudes quality and inspires confidence on the part of the user. You feel like you’ve got a real, heavy-duty tool at your disposal to take on whatever comes your way. Yeah, I know. That’s a whole lot of Zen meets the way of the knife kind of patter, but that was my initial experience. But, it all comes down to how it performs in the field, doesn’t it? So, only time would tell if it was going to truly live up to my expectations. So, what are those expectations? Everyone out there has a different definition of a bushcraft knife and there are hundreds of designs on the market that all kinds of knife lovers would say falls into the range of a “bushcraft” blade. But, somewhere along the way a general consensus of sorts has coalesced into a more standard thought of what a bushcraft knife is and what it looks like. A large population believes that a bushcraft knife should be made of a high carbon steel that’s easy to sharpen in the field, hence the popular use of O-1 for the blade. A lot of traditionalists think it should have a Scandi type grind which makes it good for wood carving and makes it easier to sharpen. That’s even better for me since as I have mentioned before, I’m somewhat sharpening challenged. Scandi grinds also leave more steel than a few different grinds making the knife stronger and able to take a bit more abuse in the field.